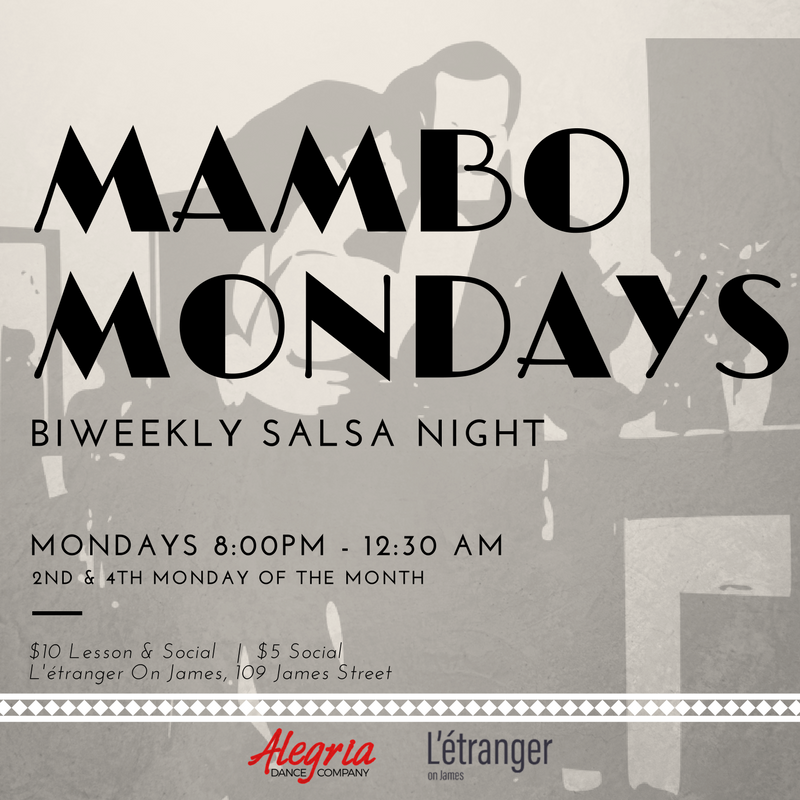 Bi-Weekly Salsa Event on the 2nd & 4th Monday of every month! Join us in the heart of the arts district at L'etranger on James for a night of dance, to celebrate your Monday survival! Dancers & non-dancers alike are welcome to come, share in the joy that dance brings us all! Starting with a 1 hour Beginner Lesson from 8:00-9:00pm, then dancing till 12:30!